Any Apple announcement is highly anticipated. 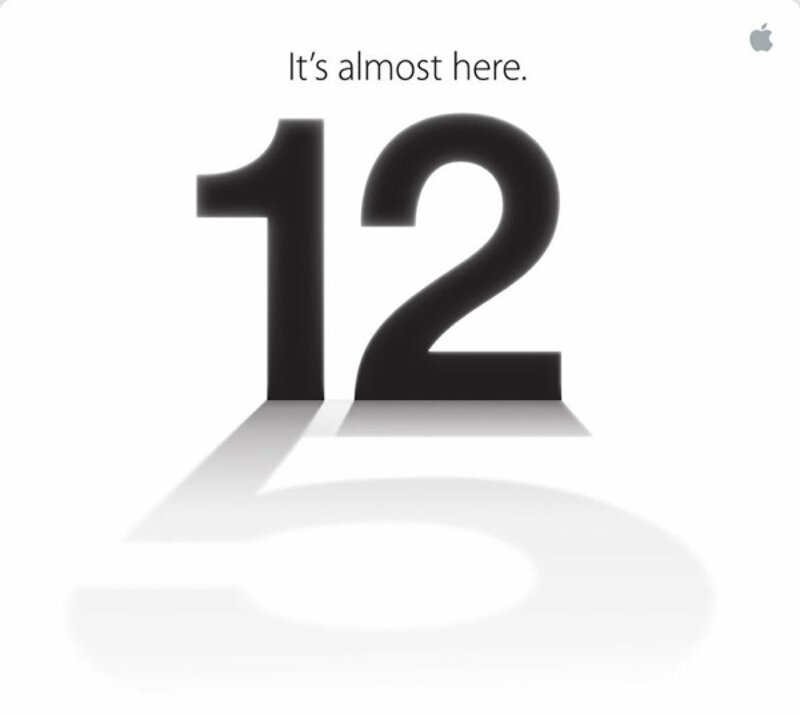 But the really highly anticipated event this fall has arrived at last: the unveiling of the iPhone 5. After months of rumors and speculation, we finally have facts. Missed out on the announcement 5? Here’s what you need to know. “It’s an amazing time at Apple,” said Tim Cook, CEO of Apple, at the beginning of the conference. On Friday, the company is opened in its 13th country with 380 stores and 83 million visitors to those stores last year. The announcement of the sixth iPhone, iPhone 5, took place at the Yerba Buena Center for the Arts Theater in San Francisco, the same location as many previous Apple product announcements. Display: The new phone is made entirely of glass and aluminum. It’s the thinnest and lightest phone Apple has ever made--18 percent thinner and 20 percent lighter than the iPhone 4S. Features of the newest addition to Apple’s product family include a four-inch display screen, 1136 x 640 and a 16:9 aspect ratio. The screen is designed to naturally fit your hand. 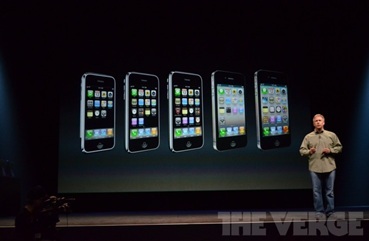 The big screen also allows a fifth row of icons. The display has 44 percent more color saturation and integrated touch. Wireless Technology: Apple has added HSPA+, DC-HSDPA and LTE. It is working with carriers such as Sprint, Verizon and AT&T for LTE in the U.S. The Apple A6 chip is two times faster than the A5 but 22 percent smaller. The iPhone 5 exceeds the battery life of the iPhone 4S’. Camera: The camera, called iSight, features an 8 megapixel sensor, 3264 x 2448, backside illumination, hybrid IR filter, five-element lens, f/2.4 aperture, dynamic low light mode, precision lens alignment and sapphire crystal. Improved features include next-generation ISP, spatial noise reduction, smart filter, better low-light performance and 40 percent faster photo capture. The camera also features a panorama mode that produces images of 27 megapixels. With iOS 6 and iCloud comes a new feature called shared photo streams, where you can select friends and share a stream of photos. Users can also take photos while shooting video. Video features include 1080p video, improved video stability and face detection. Audio: The audio system has been updated with the new iPhone, and it features three microphones: bottom, front and back. There is also a noise-canceling earpiece and wideband audio. Connector: Just as the rumor mill had it—your old iPhone charger is officially old news. 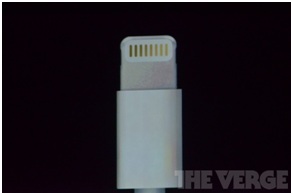 The new connector is called Lightning: 8-signal design, adaptive interface, improved durability, reversible, easier to use and 80 percent smaller than the previous connector, “Thunder.” Apple has come up with an adaptor so users can still use the 30 pin connector. iOS 6: The new software is available September 19. There is a search engine to find points of interest and the new map has built-in turn-by-turn directions. Apple’s GPS features satellite imagery, a cinematic camera angle and 3D view. Safari features iCloud tabs, where users can get to content from any of their browsers open on your Mac, iPhone and iPad. In Mail, there is a new VIP feature where users can categorize messages from important people to go into a new folder. Passbook is another new addition to the iPhone. All of your passes, tickets and coupons are all in one app. It also has push notifications, so you can bring up your boarding pass on the lock screen, swipe it and you are right at your boarding pass. Apple also updated its App Store design and introduced a new version of iTunes. Siri: The iPhone 5 has enhanced Siri. Siri knows more about sports can launch apps, recommend movies, Open Table lets you make reservations at restaurants and users can update their Facebook status right from Siri. The device will start shipping September 21, and is available for pre-order starting Friday, September 14. Seven million copies of Mountain Lion, launched this summer, have been downloaded. Apple’s notebooks rank No. 1 in the U.S. in market share for the last three months. Apple dominates the market for tablet computers, shipping seven out of every 10 tablets worldwide in the second quarter, according to research firm IHS iSuppli. Rivals have been trying to compete by producing smaller, cheaper models --such as Amazon's Kindle Fire. Last quarter, from April – June, Apple sold 17 million new iPads and 84 million units overall—it sold more iPads than any PC manufacturer sold of their entire lineup. iPad accounts for 91 percent of all the Web traffic from tablets. "Almost all of the Fortune 500 are testing or deploying iPads,” said Cook. “And they're investing in custom apps. This is something none of them do on the PC." The average customer uses over 100 apps. Apple offers more than 700,000 apps in its App Store, 250,000 of which have been tailored for the iPad. Analysts predicted more than one million pre-orders in the first 24 hours of the announcement. For the first three days, estimates came in as high as six million. Leaked search results before the launch confirmed that the name of the new device would, in fact, be the iPhone 5. Typing in terms led to unpublished PR documents that were dated today, September 12, “Apple Introduces iPhone 5.” The leaked search results also included a new iPod Touch and Nano, an iTunes 11 and the iPhone 4 will have LTE. A recent survey conducted to measure the anticipation of the launch found that about 75 percent of current iPhone owners plan on getting an upgrade in the next year. Those who are most likely to upgrade to a new iPhone are younger in age—consumers ages 18 to 34 are 46 percent more likely to upgrade by the end of 2012 than those 35 and older. Apple’s store went down a few hours before the conference started, with expectations of the returning uptime to feature new product information from the conference. Apple’s invitation to the September 12 conference creatively contained a shadow in the shape of a 5.